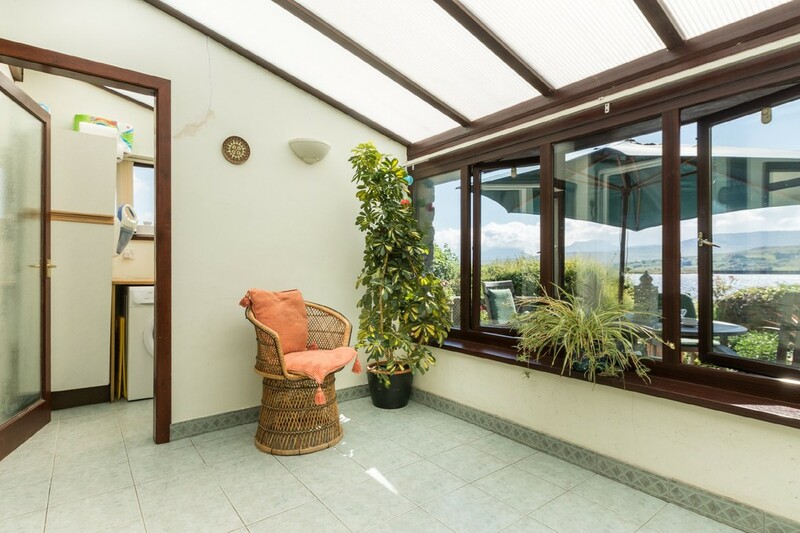 What price would you put on a view? 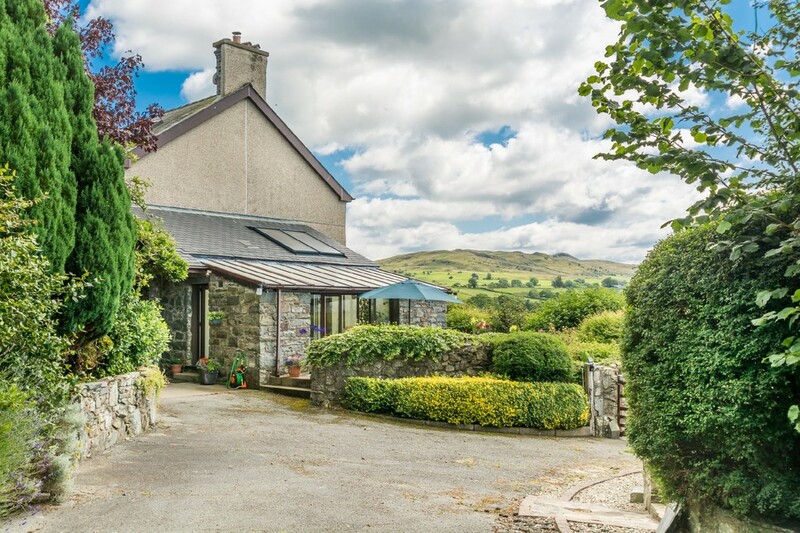 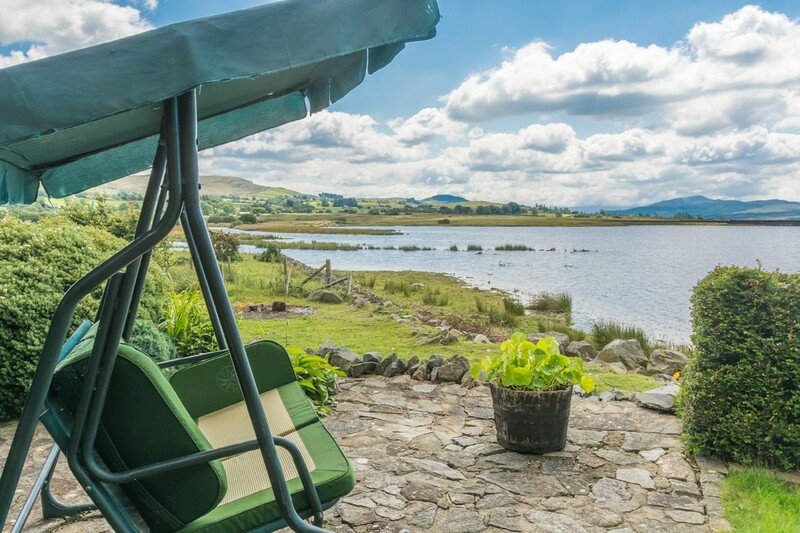 What if that view included a lake, all-encompassing countryside, the Snowdonia Mountains and just the sheer peacefulness of a beautiful rural location in the heart of the Snowdonia National Park - that would surely takes some beating! 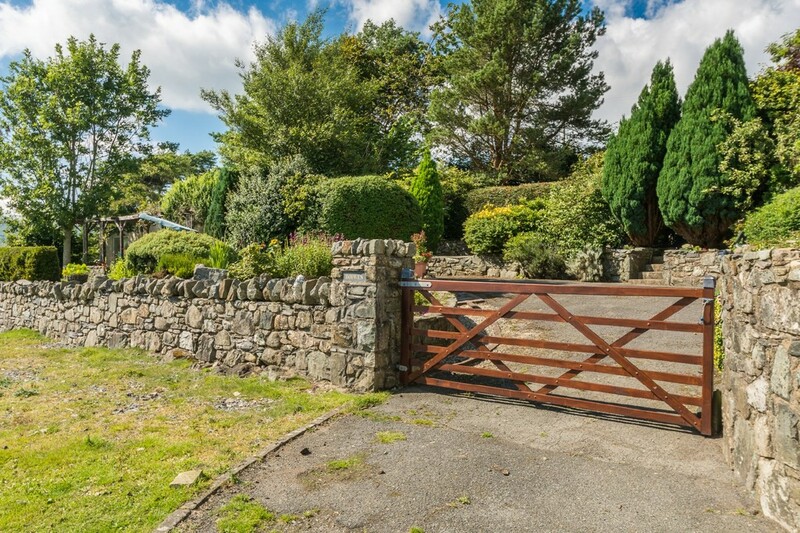 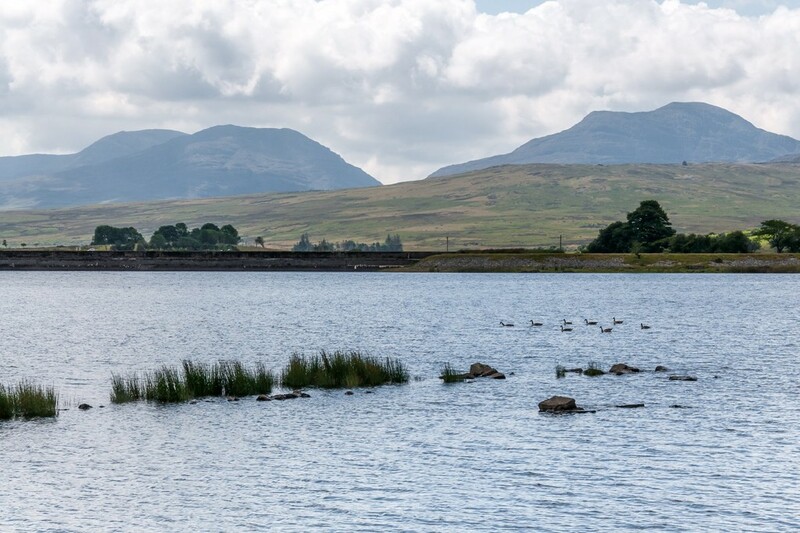 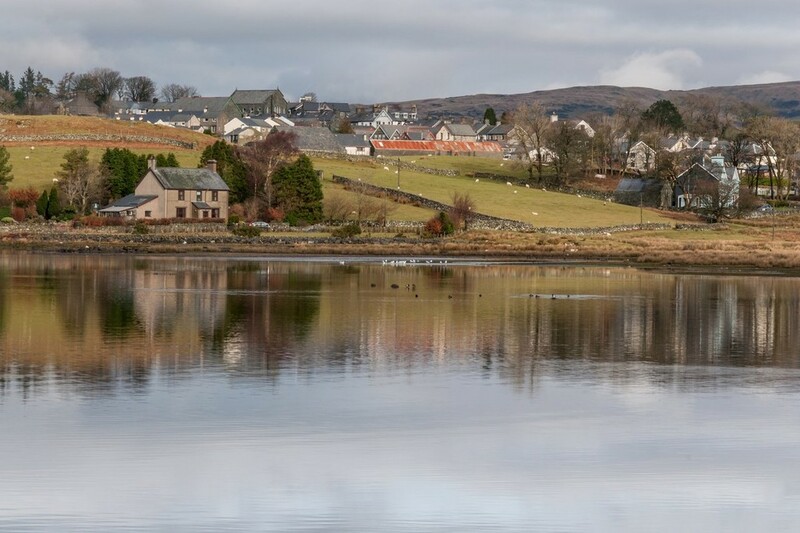 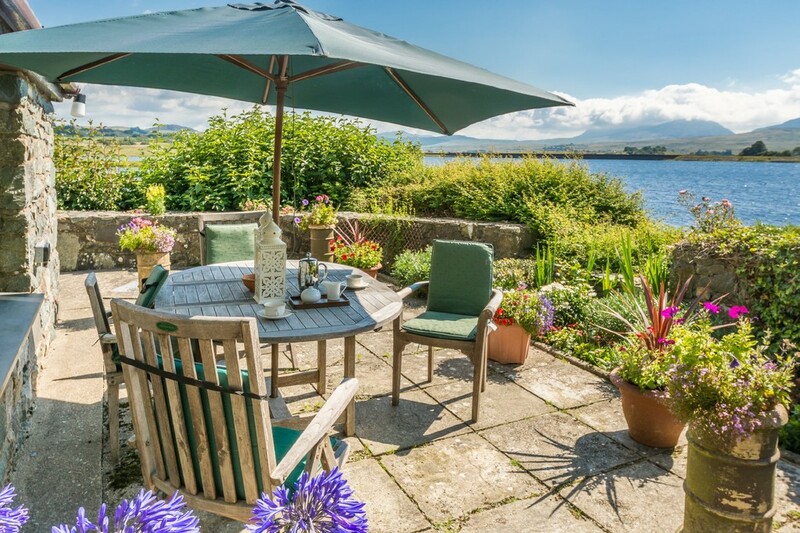 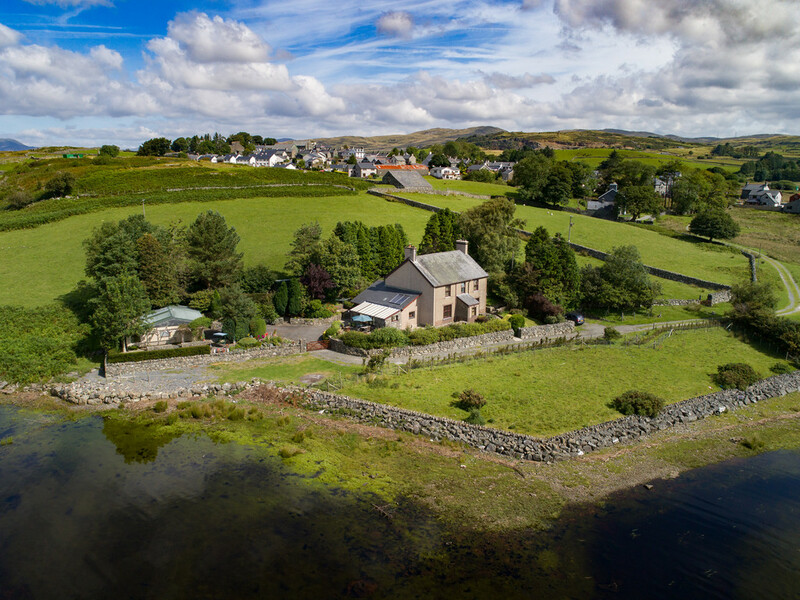 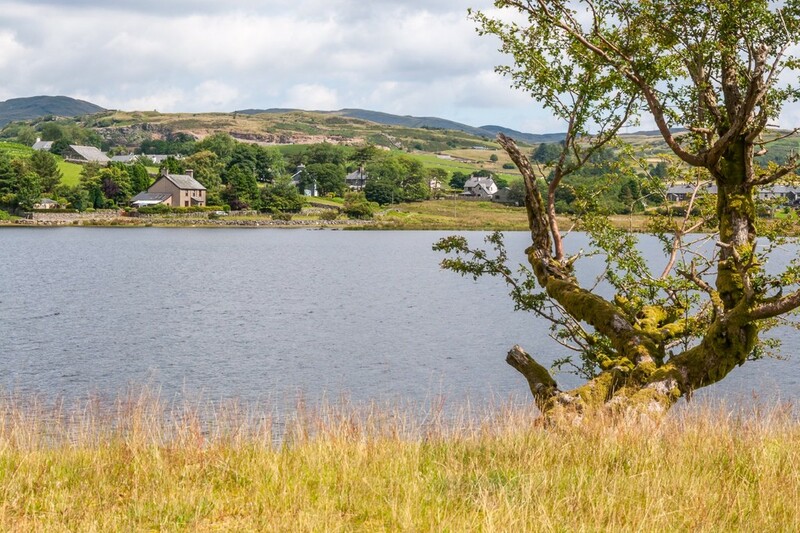 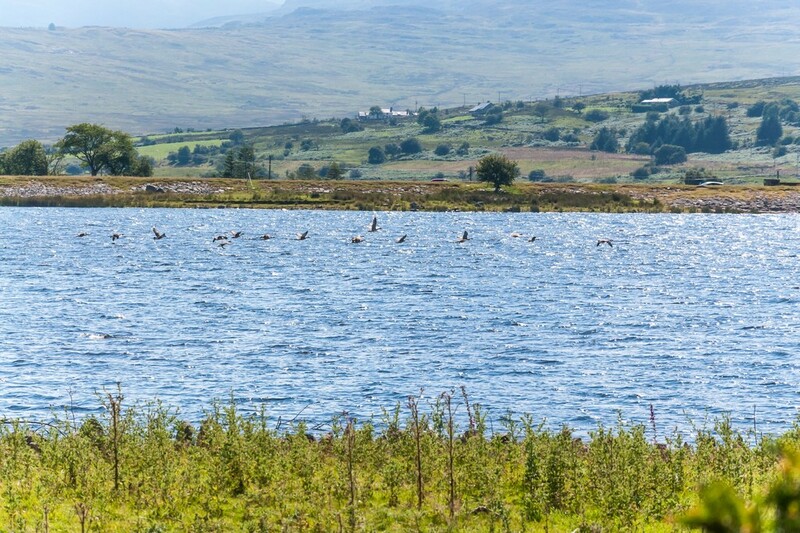 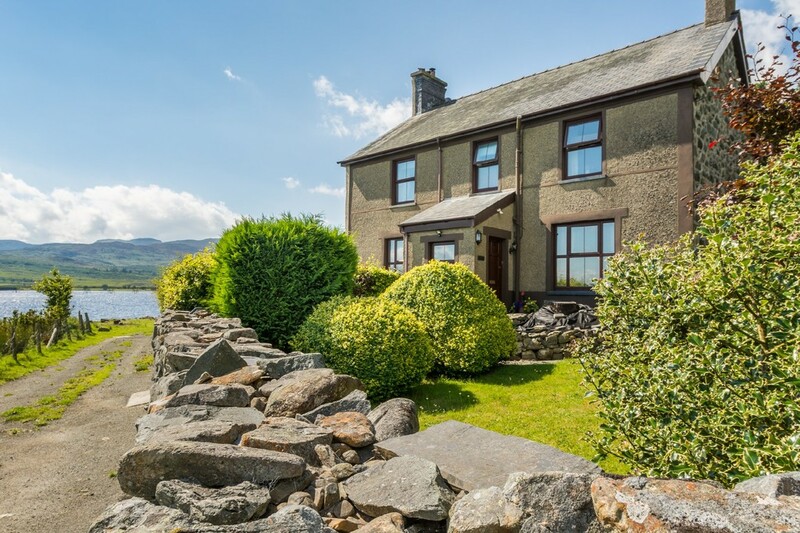 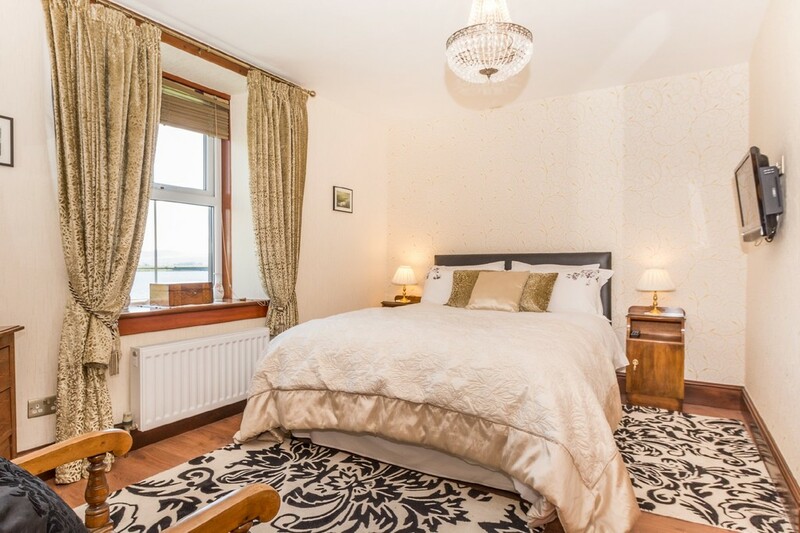 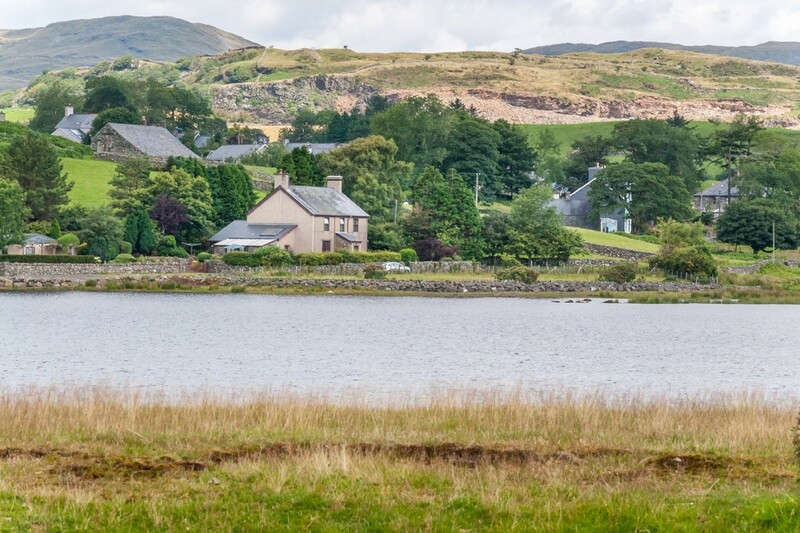 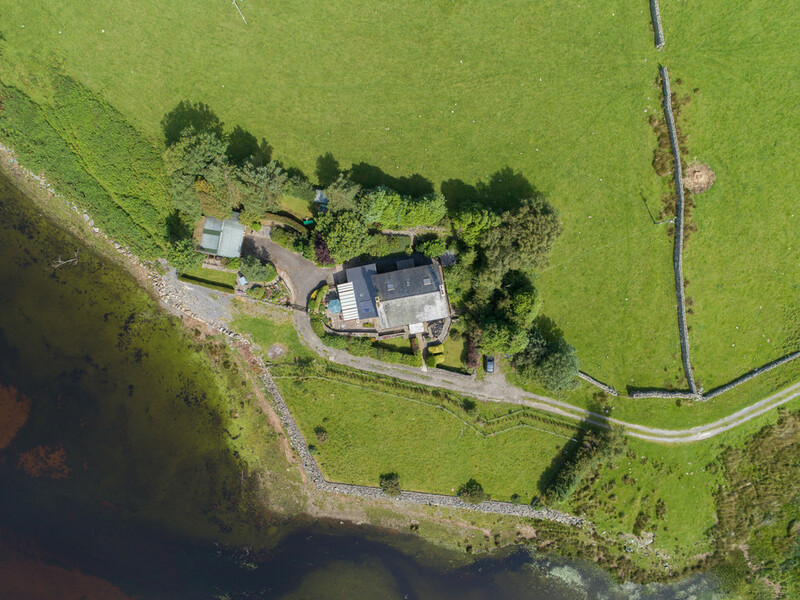 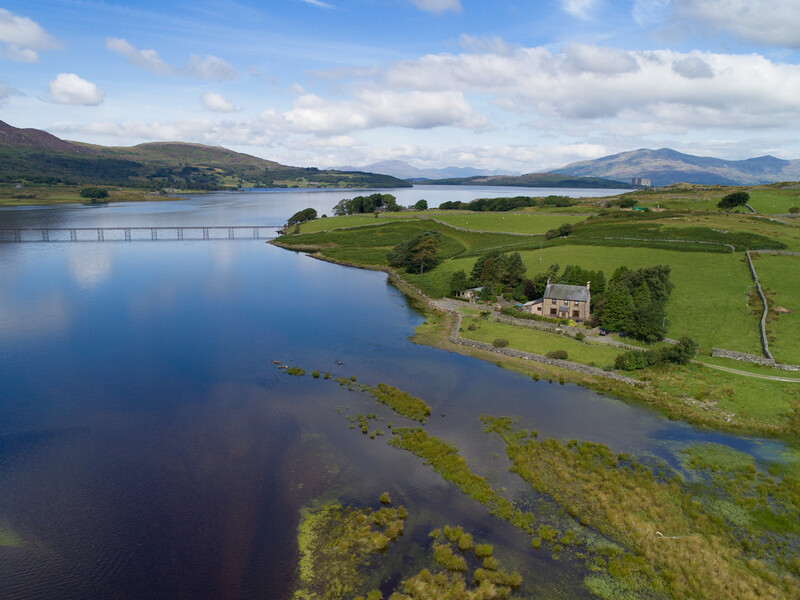 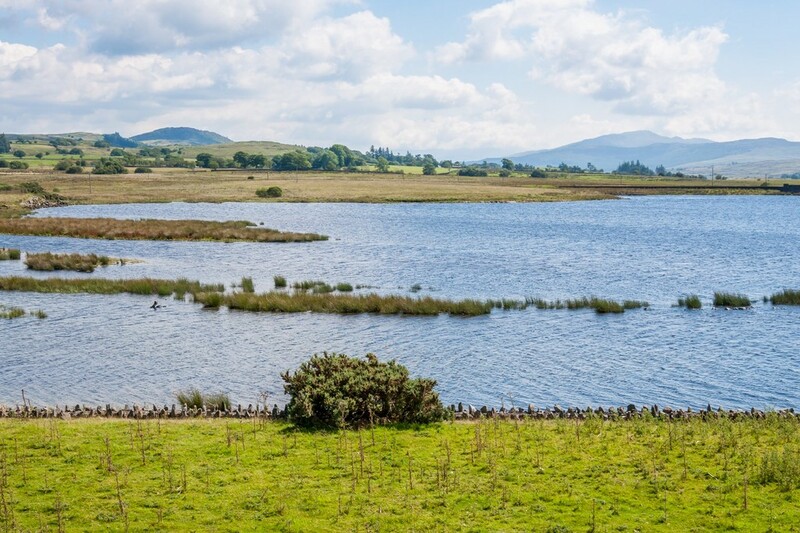 The setting of Dolwen is truly inspired, situated on the periphery of the lakeside village of Trawsfynydd at the southernmost tip of the lake, enjoying a splendid uninterrupted south facing aspect just where the river Prysor enters the lake, making the position of the property a triumph. 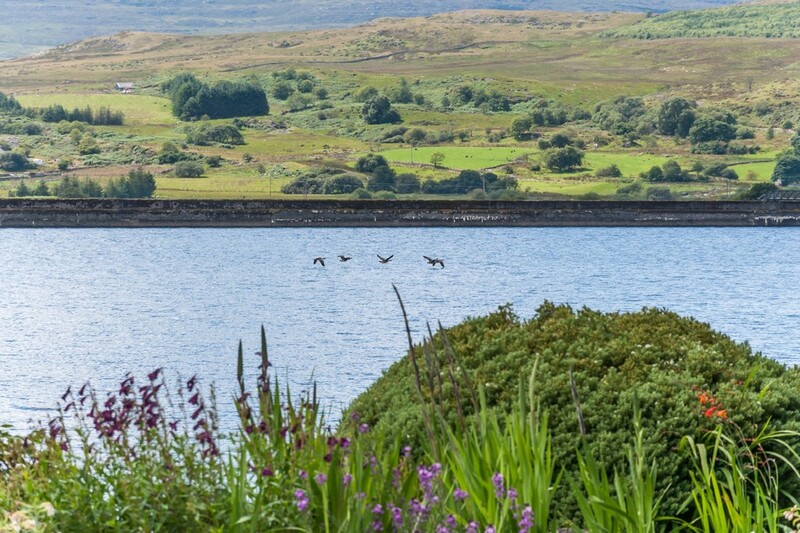 If privacy is what you crave and love your wildlife - with Canadian geese and cormorants frequenting the waters here, you'll even be able to join them, as launching a rowing boat or kayak from the waters' edge just couldn't be easier or more convenient. 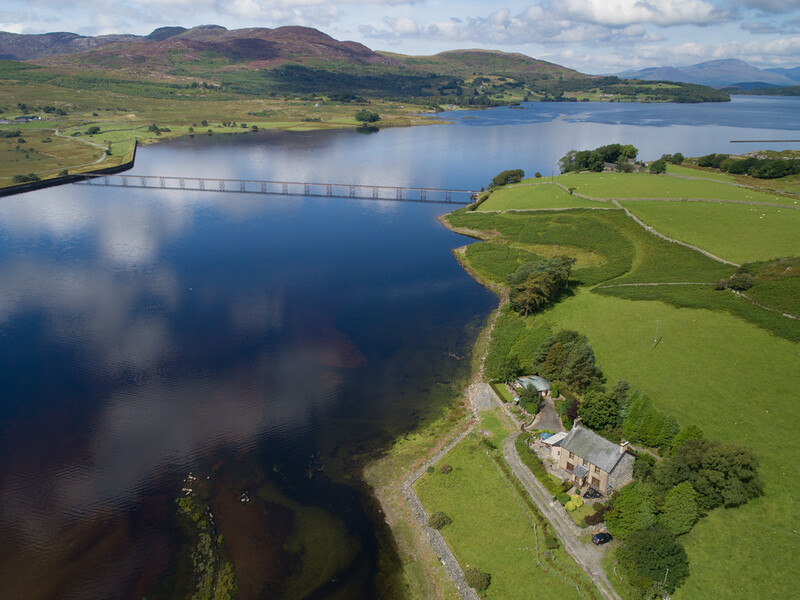 Continuing the theme of the location and just to emphasize the views once more, Dolwen's position provides a sweeping east to west vista across the lake, taking in the superb iron footbridge with the Rhinog range of mountains on the far side of the lake, offering a rugged backdrop and endless changing scenery throughout the seasons. 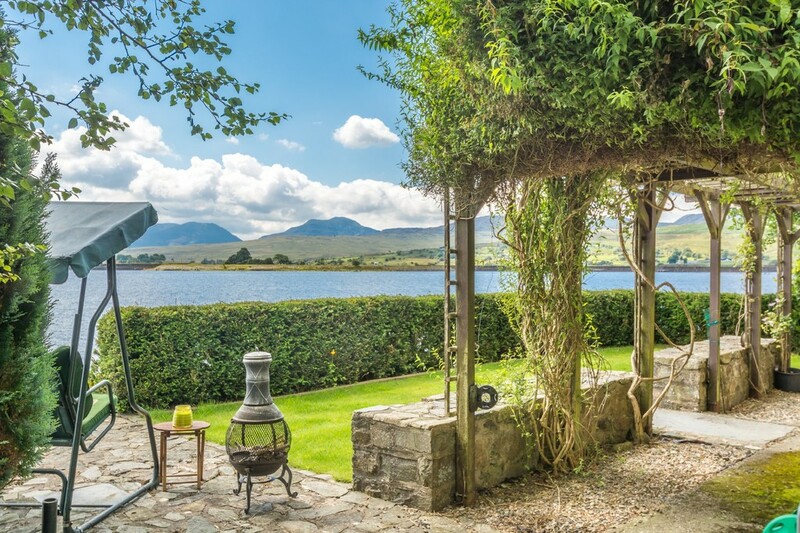 A purpose-made patio is located on the west side of Dolwen just so that you can sit back and fully immerse yourself in these superb surroundings. 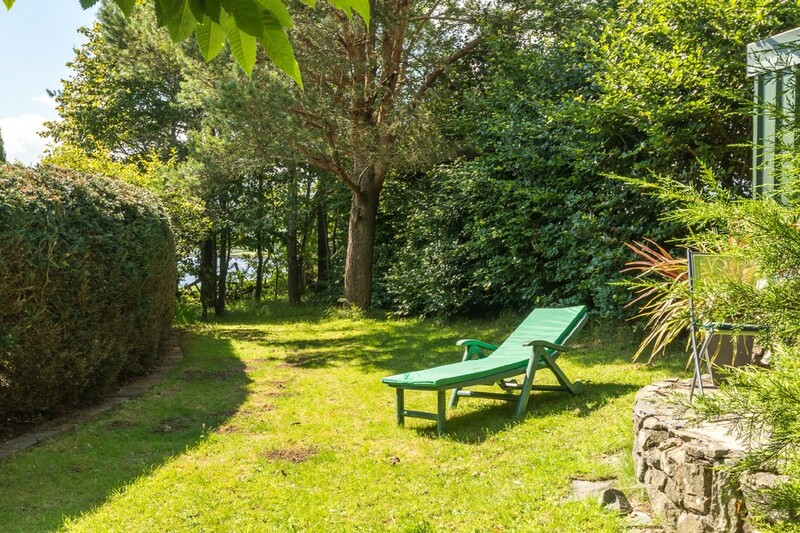 So what can we tell you about Dolwen as a residence? 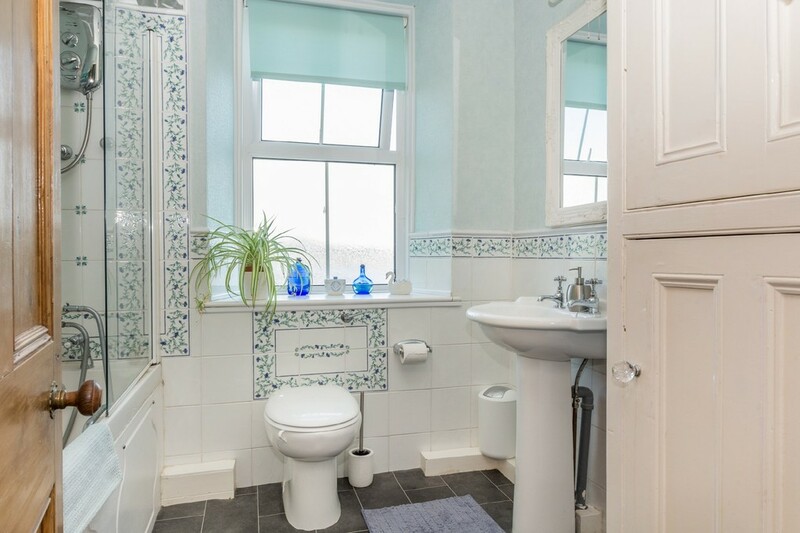 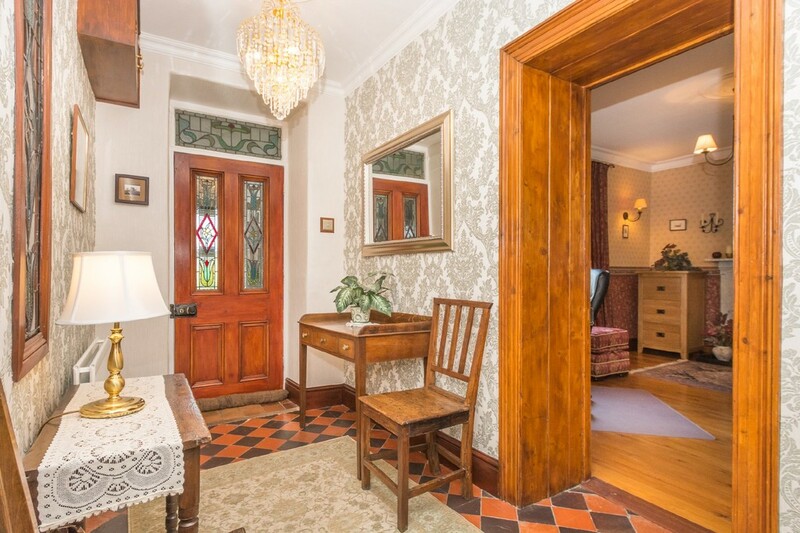 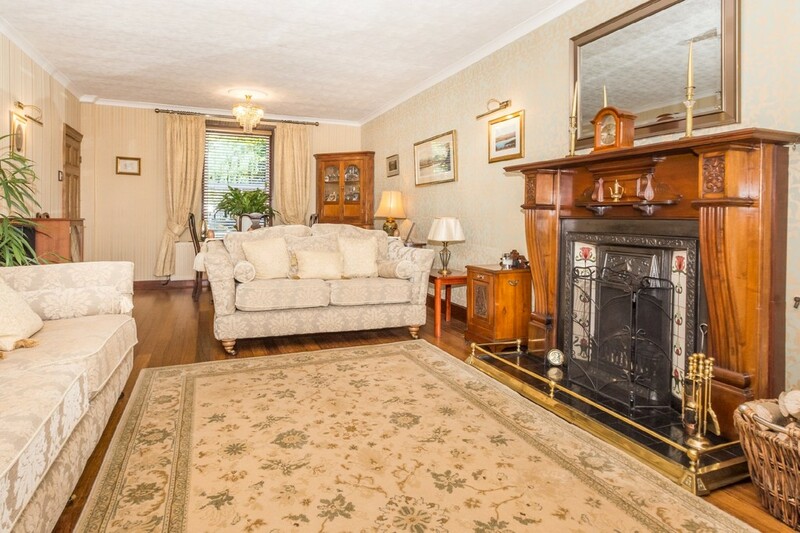 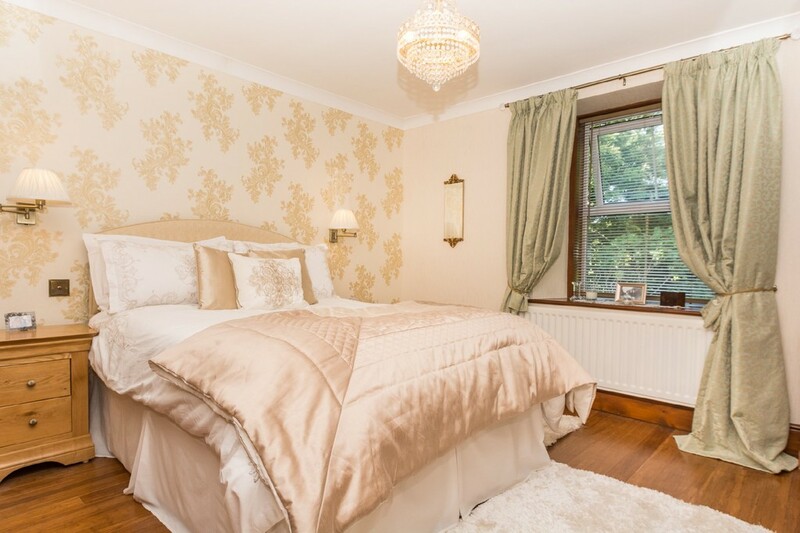 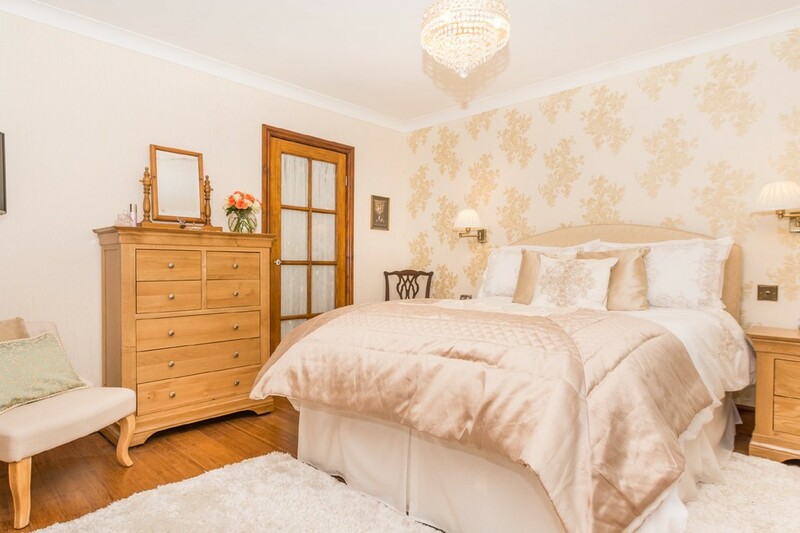 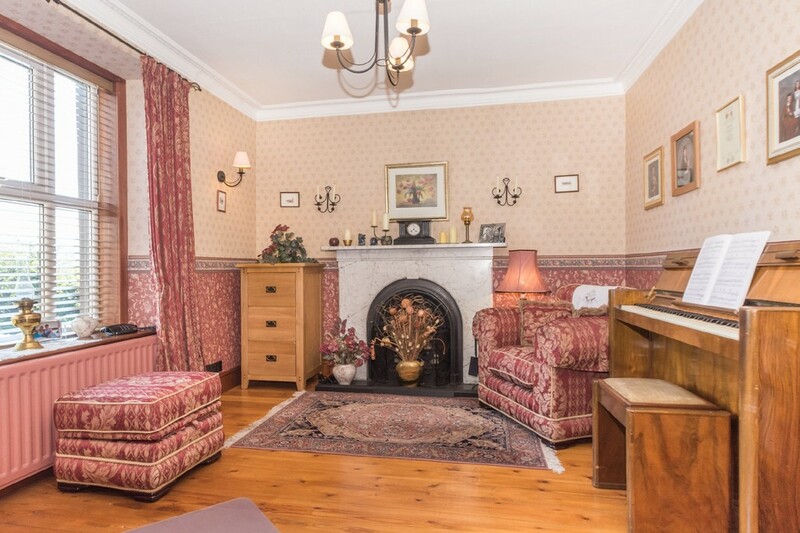 Well, it's believed to date back to the Edwardian period, presenting itself handsomely with its double fronted layout with a central reception hall with rooms off to either side. 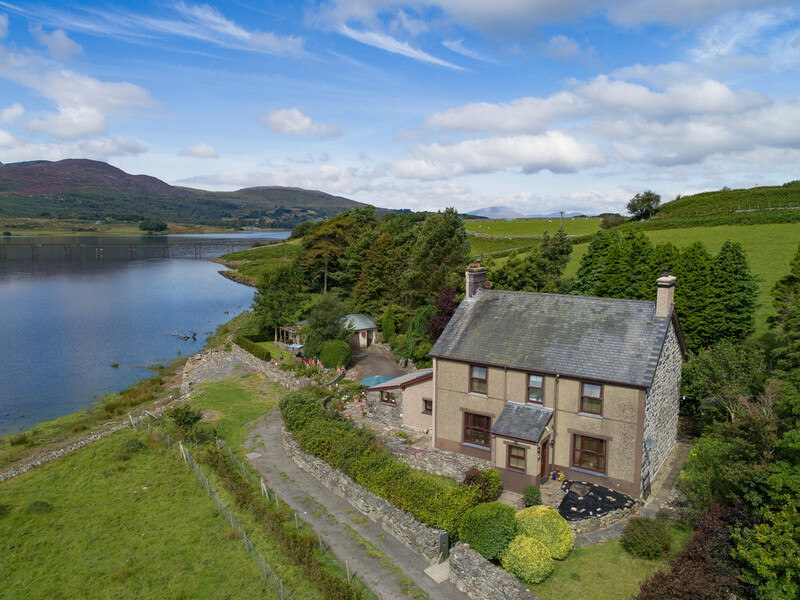 The present owner has carefully and meticulously restored, enlarged and sympathetically modernised the accommodation to suit its style whilst being a roomy and highly practical family home - its homely feel has certainly been a labour of love for the owner and a testament to the enjoyment Dolwen has provided. 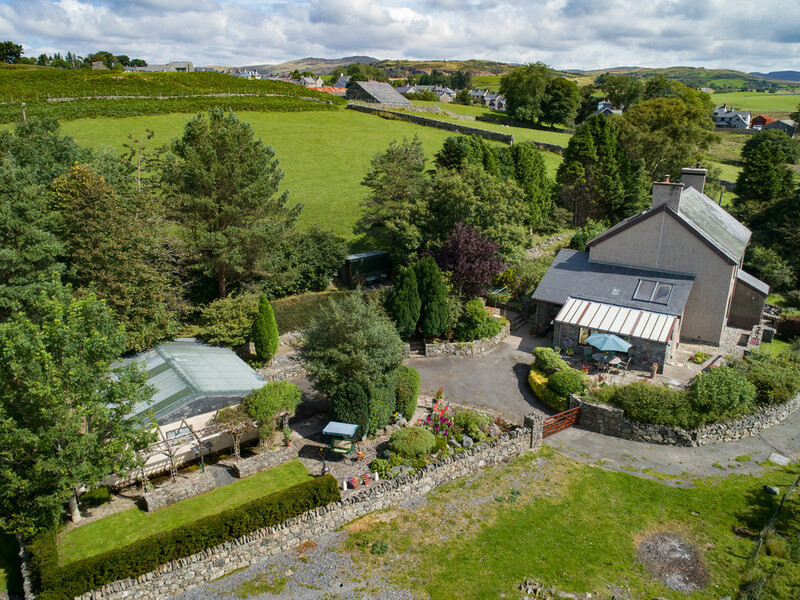 The property is surrounded by mature well-stocked gardens which afford a great deal of privacy with a gated driveway providing plentiful parking that leads to a double garage which doubles up as a fine workshop, having electricity and light fitted whilst a lean-to greenhouse/potting shed will keep the keen gardener happy. 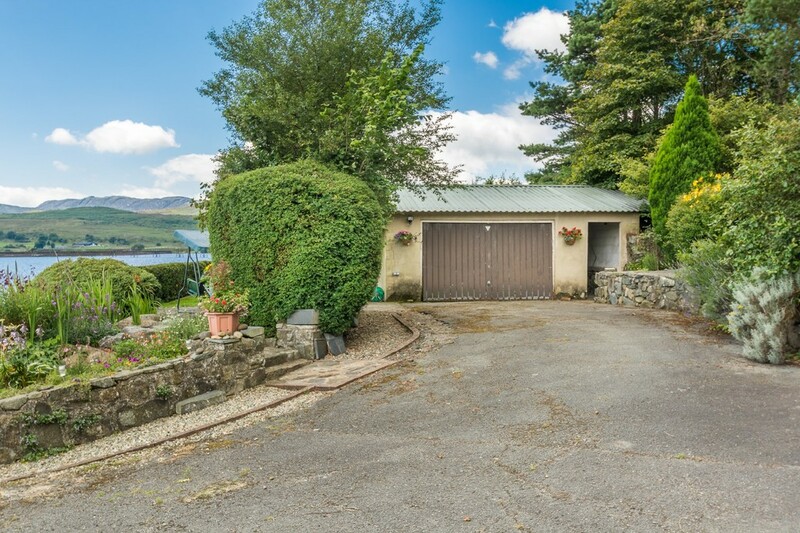 There's also a covered open-sided wood store, a garden tool shed and lockable coal shed too, covering all the essential bases for making life here a pleasure. 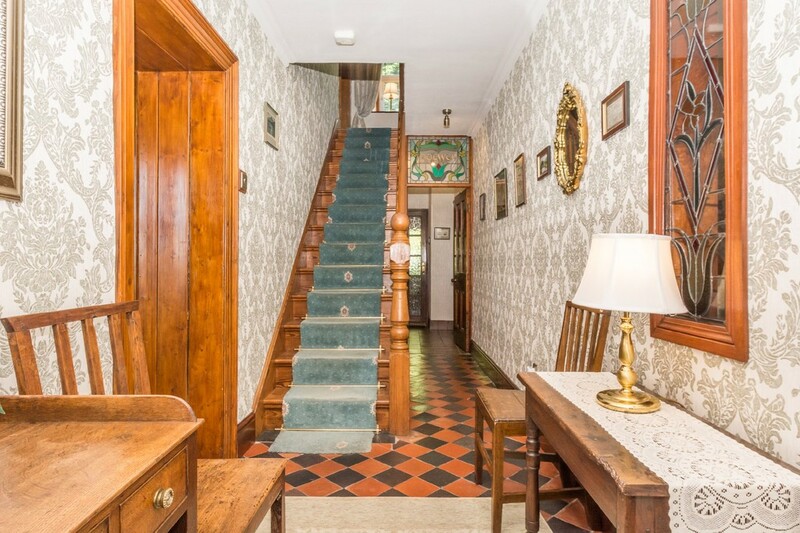 Returning to the interior, the reception hall greets you with a traditional tiled floor, a leaded stained glass door (plus one of two other leaded lights) and a pitch pine staircase and banister all the way to the second floor. 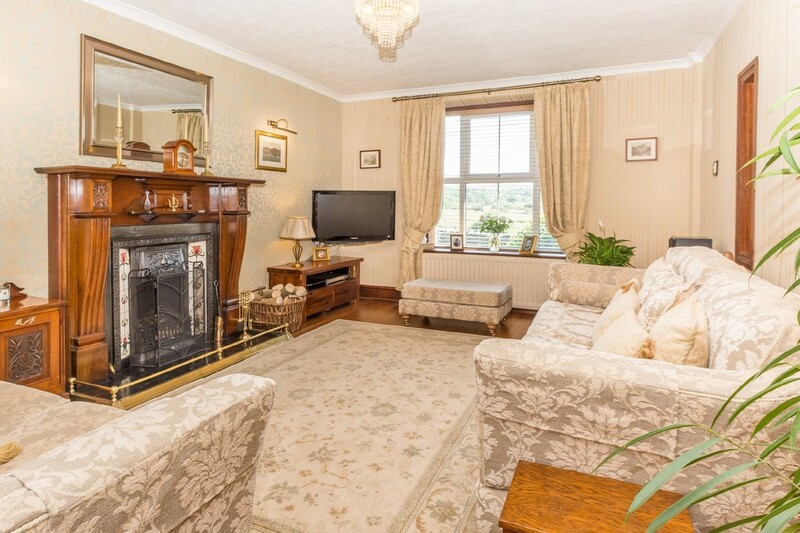 All rooms are generous with the through lounge airy and bright, a great room for entertaining with an added plus of a superb focal open fireplace. 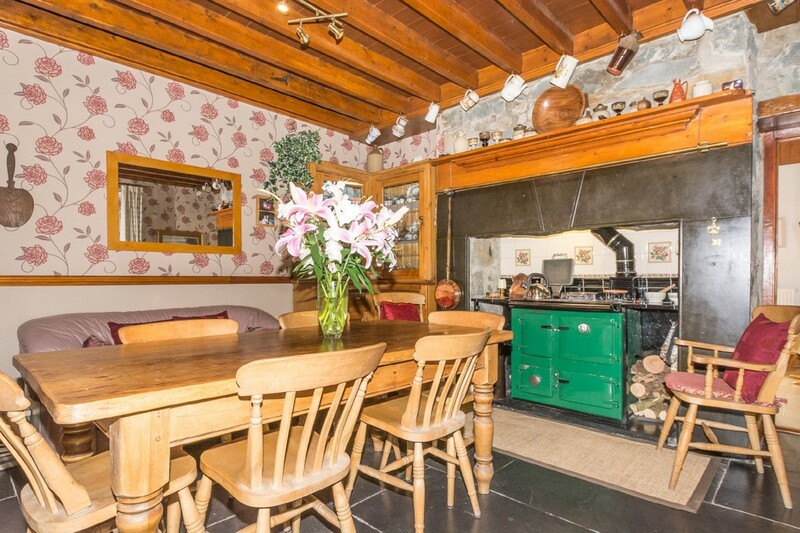 The dining room offers a real 'farmhouse' feel with a beamed ceiling, rustic slate flagged floor and a Rayburn that looks fetching in its green livery! 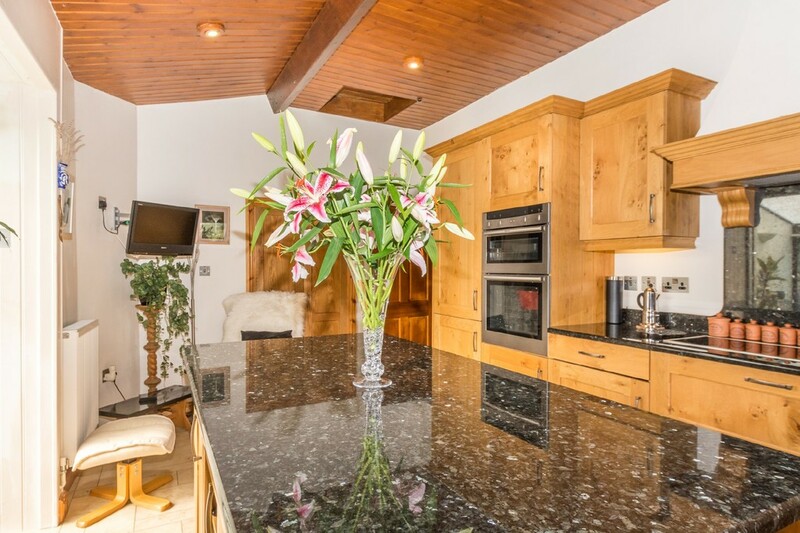 For the cook/chef of the house, you're in for a treat as the kitchen is handmade and bespoke with some unique touches. 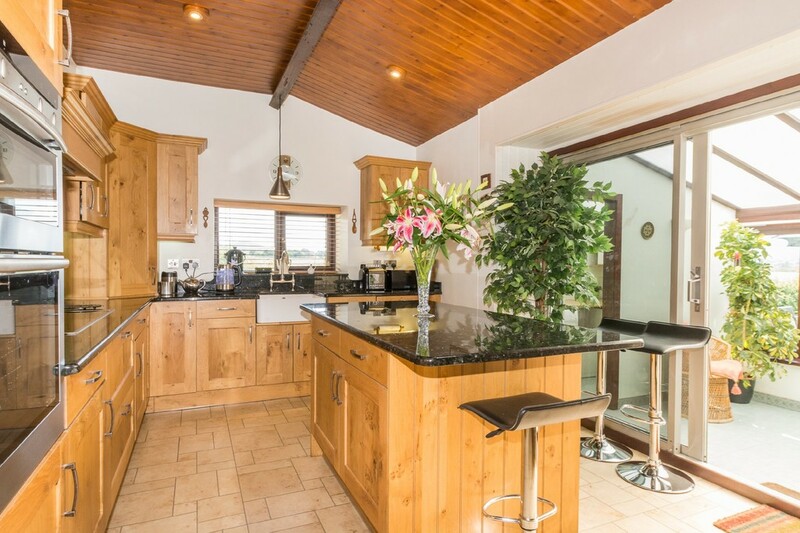 The solid oak units are topped off with polished granite worktops with granite splashbacks, there's a central breakfast island, Belfast sink, larder fridge, double oven, induction hob and dishwasher - you can enjoy your breakfast in the adjoining garden room or even on the patio! 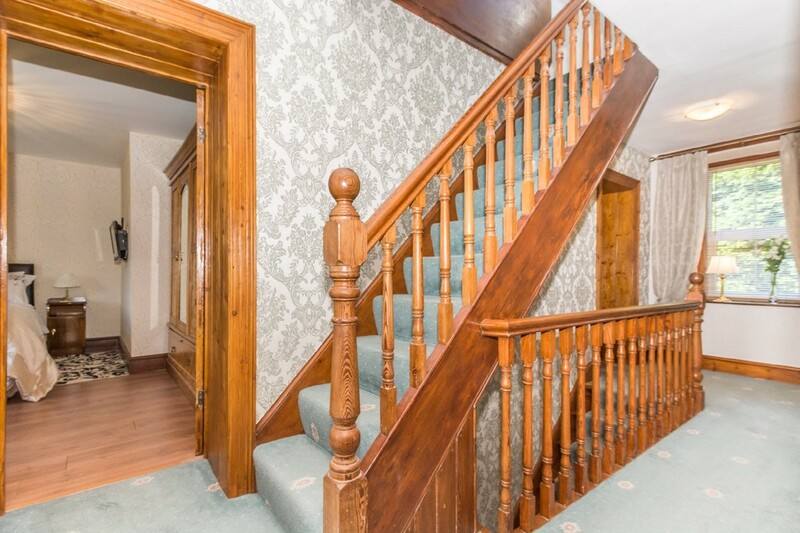 With four bedrooms on the first floor, there's also a further two attic rooms (both ideal as an office, hobbies room or bedrooms if necessary), one of which has been fitted with a new chimney flue in readiness for a wood burning stove. 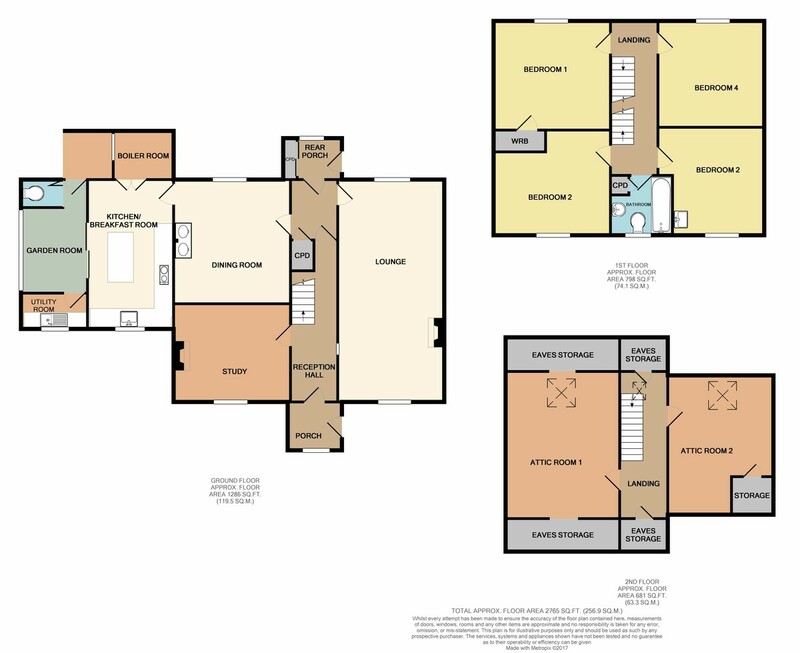 Consulting the floorplan contained within these details will provide you with a reasonable idea of the extent and layout of the accommodation. 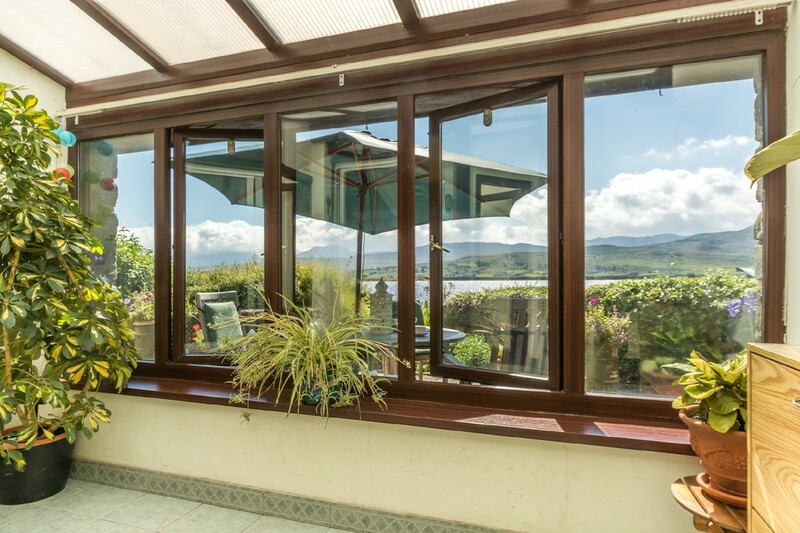 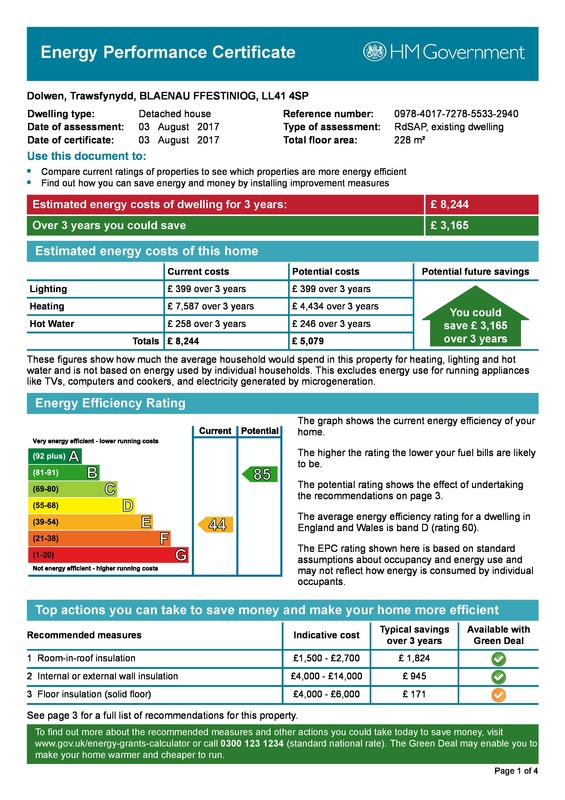 Dolwen comes fully double glazed and is served by an oil fired central heating system, complemented by a solar panel installation (primarily for hot water) and directly linked to the Rayburn, providing an efficient, environmentally friendly and cost effective solution to your heating requirements. 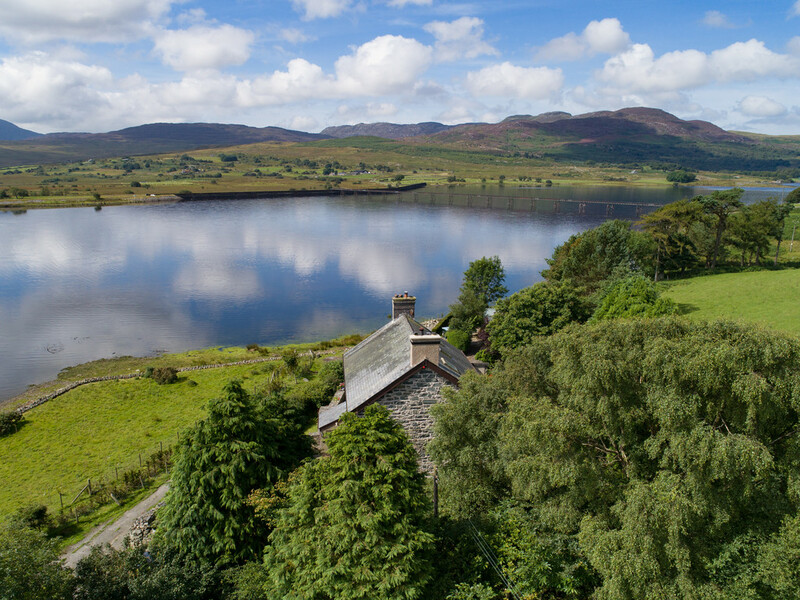 LOCATION Dolwen is located on the edge of the village of Trawsfynydd (you can't see the village from here) and positioned towards the southern end of Trawsfynydd Lake situated right in the middle of the stunning Snowdonia National Park, surrounded by miles of open countryside, moorland, mountains and forests yet convenient for both Porthmadog to the north and Dolgellau to the south, both roughly 12 miles distant. 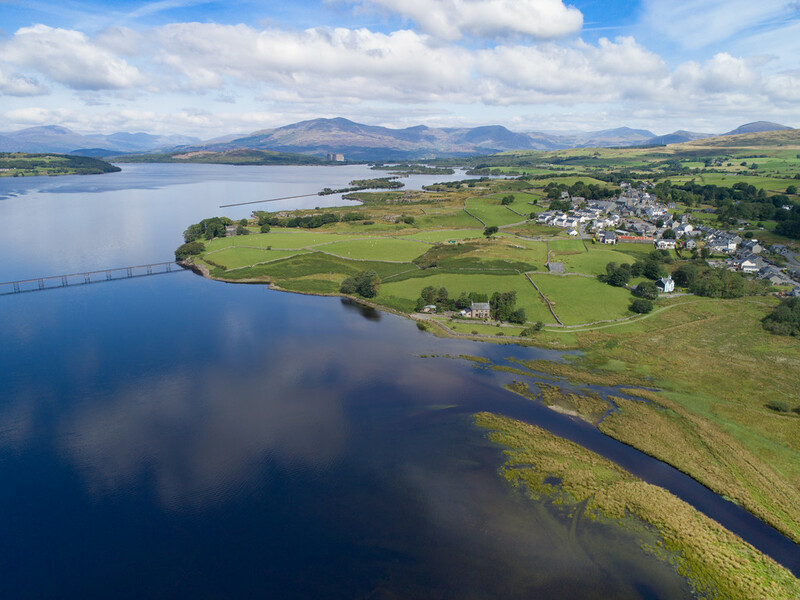 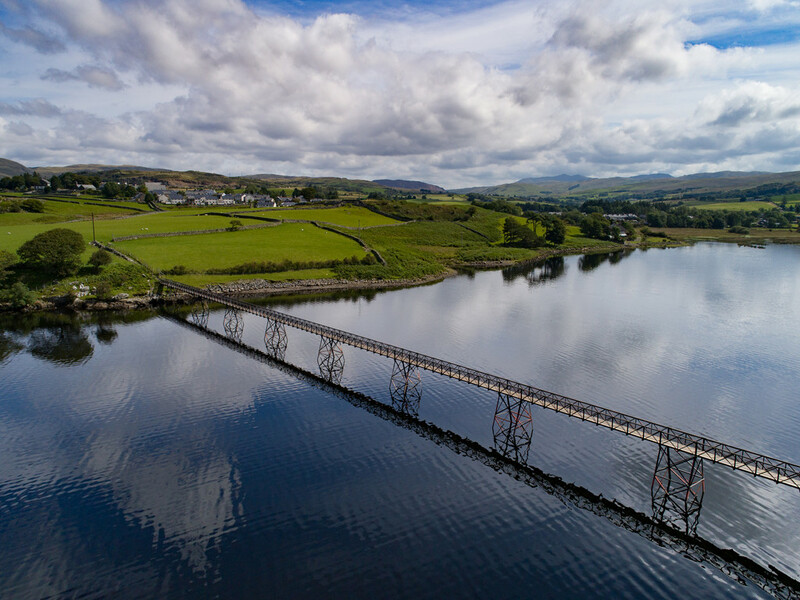 Trawsfynydd enjoys local amenities including 2 village stores (one which includes a post office), public house, a petrol station, car repair facilities and a primary school. 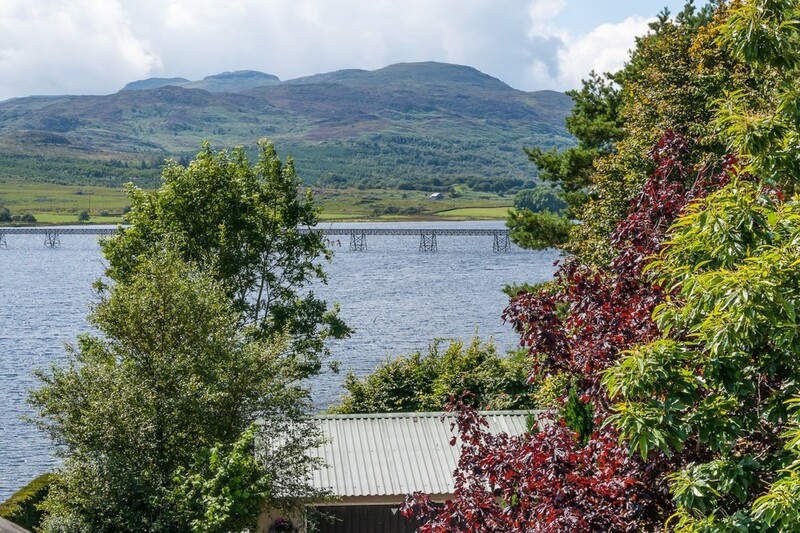 The Rhinog mountain range is situated to the west and the coastline at Porthmadog and Barmouth are both within reach. 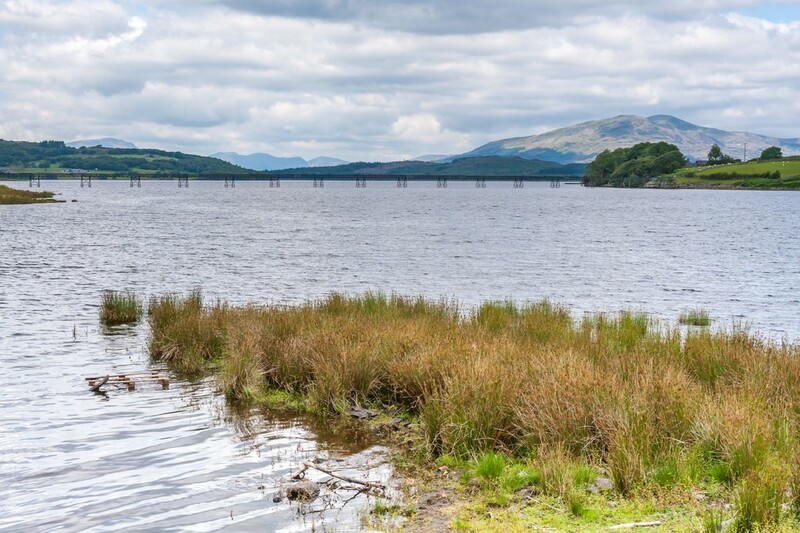 Recreational facilities can be enjoyed at Trawsfynydd Lake (water sports) and Coed Y Brenin forest both located nearby. 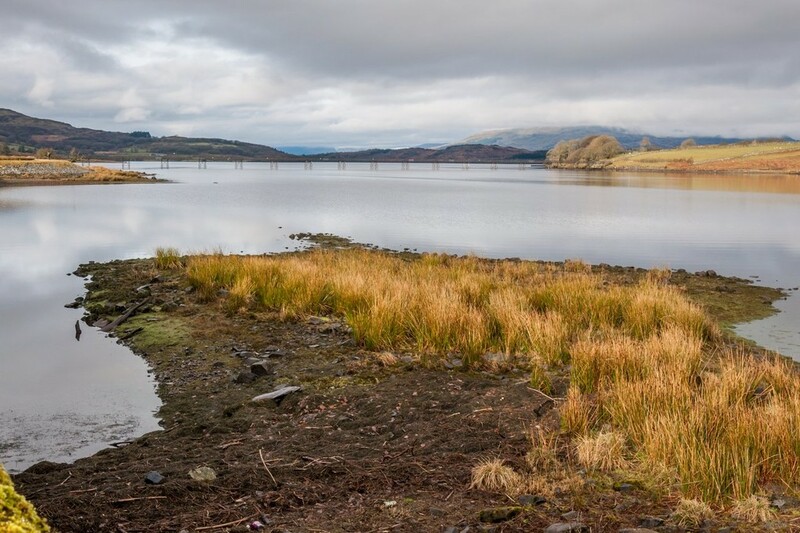 Of historical note is that the area was once occupied by the Romans where much of their occupation can be seen in and around the locality. 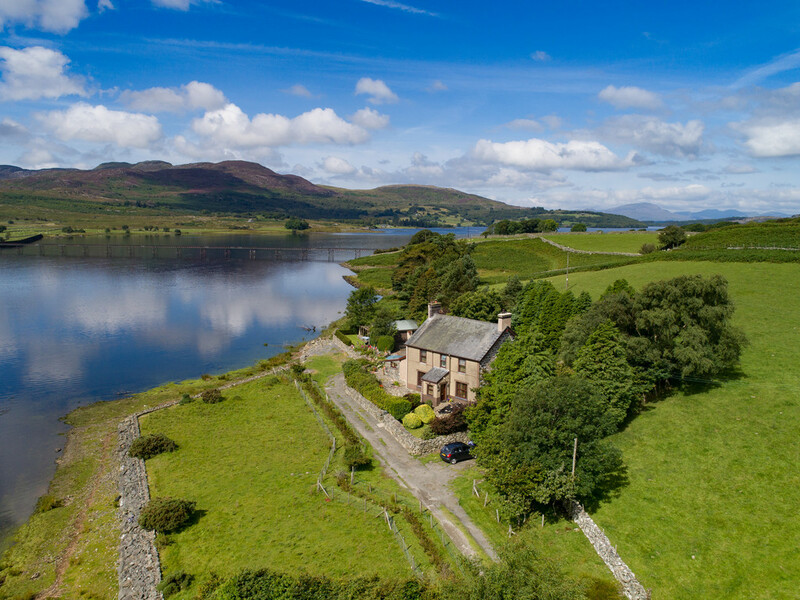 If you love fine scenery and your natural history, then this could be the ideal spot.